This summer I had the luck to visit Western Mongolia with Timothy Allen, an amazing travel photographer that has been visiting this part of Mongolia repeatedly for over 10 years. 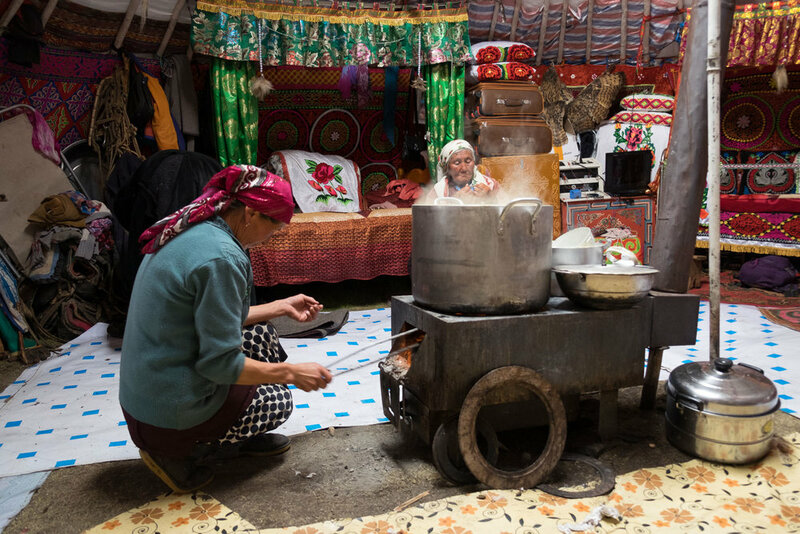 Over time he has forged warm personal connections to several Kazakh nomad families. We have stayed with several such families a few days at a time. Their lives are fascinating, especially for spoiled westerners like myself. I'd like to start with life in a Ger. A round tent like structure, a summer residence so to speak. It is amazing how everything has its place. Sunglasses, watches, mirrors, meat hanging to dry, shaving utensils, you name it. All of these things either hang on the walls or are placed along the walls of the Ger. Also along the walls are the beds (not as many as people that live in the Ger. Some sleep on the floor). In the middle the wood stove, a small table and stools for the guests. The family sits on the floor as a rule. There are no official toilet facilities or showers for that matter. The daily business is done outside. According to our guide, Nurka, as a child she cleaned herself with stones! At least there are no traces of toilet paper strewn everywhere. The shower is done outside. The soap is a modern liquid soap in a plastic bottle. 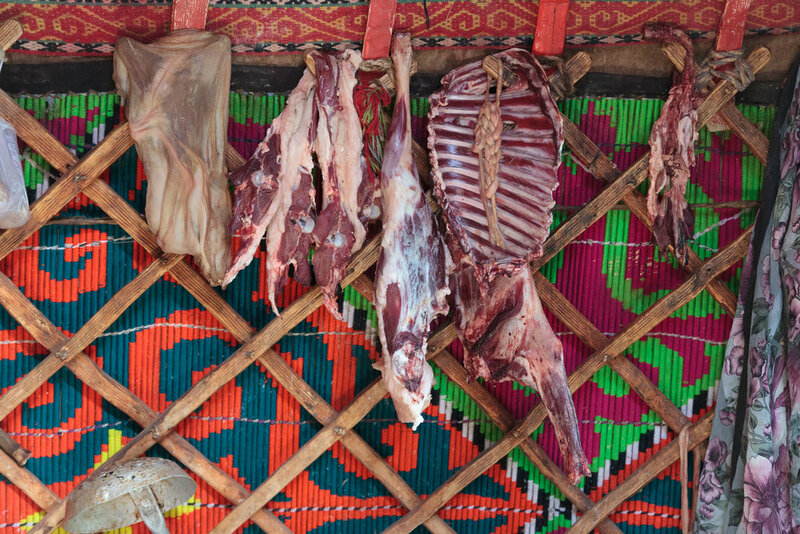 The Kazakh hospitality is amazing. As soon as you enter the Ger the low table (or a cloth on the floor) is filled with food - fried bread, dried curd, fresh cheese, red cheese and other local specialties. Cookies, waffles, candy and sugar are never missing either. Tea with milk is served and often also fermented mares milk. An acquired taste. If there's something to celebrate the Vodka comes out and the drinking doesn't stop before the bottle is empty, or two, or three. With each round of drinks someone is saying a toast. Always warm and positive. A great way to keep a family and community feeling going while living at a distance from each other.